Pre-market trading displays little of the chaos common during the day. 1. What Are the Hours of Business for the New York Stock Exchange? 3. When Are Dow Futures Posted Over the Weekend? 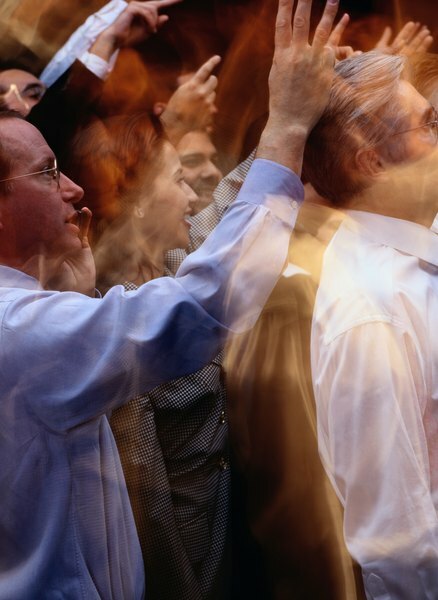 Standard trading hours for major U.S. stock exchanges run between 9:30 a.m. and 4:00 p.m. Eastern Standard Time. Although activity is normally highest during regular trading hours, earnings reports that spur trading activity do not start and stop with the ring of an opening or closing bell. All domestic financial marketplaces allow for after-hours trading. Pre-market trading takes place within a computerized trading network called an electronic market. An investor places a buy or sell order in the electronic market and then waits until an opposite, matching order comes through. If a match comes in, the order will execute and if not, the order expires when pre-market trading hours end. While investors can usually place buy or sell orders at any time, order execution normally begins at 8:00 a.m. and continues until 9:25 a.m., just before the opening bell sounds. Pre-market trading has limitations that don’t apply during the day. For starters, investors can’t include special instructions such as a stop order, all-or-none, do-not-reduce or fill-or-kill instructions with a pre-market buy or sell order. Another limitation is that not only are stocks the only investment type available for pre-market trading, but often due to lack of interest, not every stock is always available for trading. Finally, pre-market trading limits transactions to a maximum of 5,000 stocks per trade. The U.S. Securities and Exchange Commission says investment risks are different and greater when trading after hours. Not only does less active trading decrease liquidity, but investors may also experience larger spreads between bid and ask, greater uncertainty with regard to pricing, especially whether rising prices will continue to rise or will deflate after the opening bell sounds and increased price volatility. Amateur investors face another obstacle -- a lack of available information on which to base investment decisions -- that professional traders often possess. Finally, heavy reliance on technology can sometimes lead to significant delays in processing buy or sell orders. Participating in the pre-market trading arena can be a good way to get a leg up on the competition if you invest in international stocks. Keep in mind that while the U.S. markets are closed for the night, international stocks are actively trading. Pre-market trading can also give an investor an edge when world events, breaking news and corporate announcements such as a merger, acquisition or earnings announcements create opportunities that require making quick investment decisions. The Motley Fool: How Does After-Hours Trading Work? Can a Stock Price Fluctuate After Hours?